Having raced as a junior elite at World Championship level, I approached James at the end of 2009 (aged 28) after a lengthy lay off from triathlon with view to getting back into things and with the goal of a podium at World Age Group Champs the following year. I had done triathlon for many years but had never had a triathlon coach. I had relied on individual discipline coaches for my swimming and running and later on had just become self coached due to a pressurised law career. What initially attracted me to joining James and Optima was the location of all of the sessions in South West London, the group training environment as well as the small, specialised nature of Optima’s set up. In a very short space of time James took me under his wing and developed me into a vastly improved triathlete. So much better in fact that we decided to by pass the Age Group World Champs goal and head straight onto the ITU elite circuit to compete with all the very best triathletes in the world. How did he do this/how is he doing this? It is difficult to teach ‘an old dog new tricks’ but after some careful analysis James pinpointed the weaknesses and challenges that I would need to overcome in each 3 discipline and how we would put those into practice. Given the small group training environment James was the able to continuously assess me and I was not left to my own devices for things to fall apart. James’s attention to detail and technical expertise sets him way above any equivalent coach in the London region. It can be extremely frustrating trying to change technical aspects of a discipline but James’s tenacity and ever continuous encouragement made it all that easier. James is energetic and innovative and not afraid to lead from the front and put into practise new methods and skills that he has clearly researched. This cutting edge approach again sets him way above his coaching peers. James has a structured program where we are able to train as a group and push one another, all whilst under his watchful eye and encouragement. I have found this environment a very productive one to train and improve in. His enthusiasm and love of triathlon is clearly evident in his coaching. James is also unselfish and reliable and has bent over backwards to help me get to where I am today. James and I continue to work successfully with each other and I look forward to sharing even more personal achievements and successes with him in the years to come. See Gill's ITU results here. 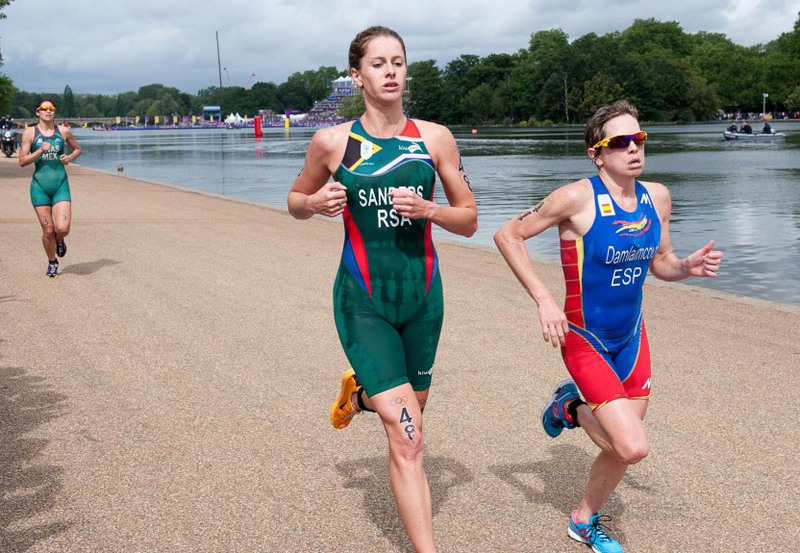 Read Gill's Road to Rio blog series to follow her journey to see if she'll make the Rio 2016 Olympics.